A more apt confluence of content and context is hard to fathom. 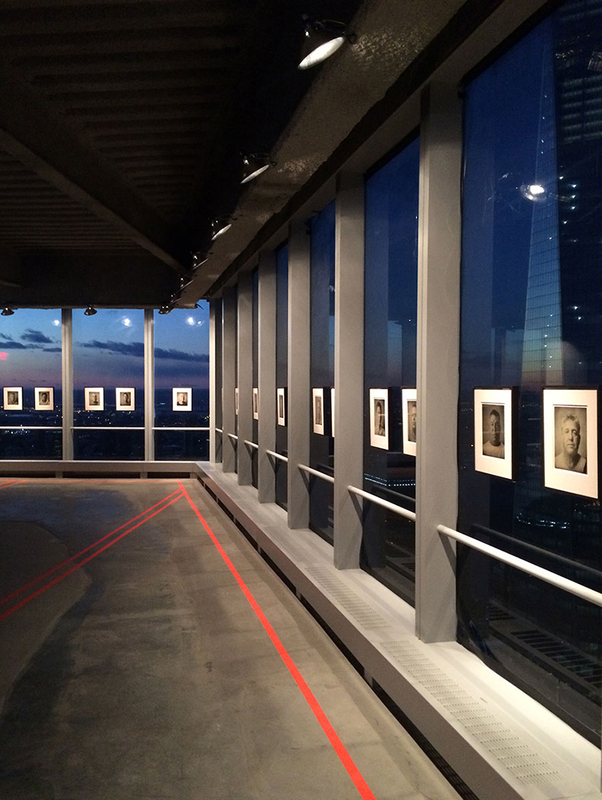 The raw space of WTC 4’s unoccupied 67th floor provides a profound setting for artist Melissa Cacciola’s Skywalkers: The Legacy of the Mohawk Ironworker. 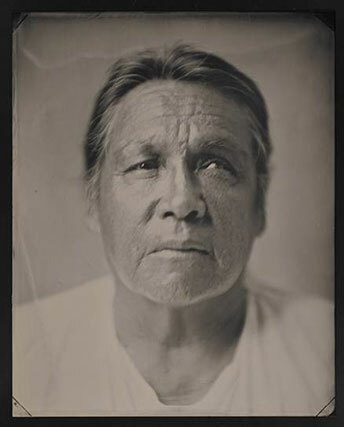 The exhibition presents a series of thirty tintype portraits depicting Mohawk ironworkers who volunteered in the rescue efforts after 9/11 and were an integral part of subsequent reconstruction on the site. Fluorescent orange gaffer’s tape spells out S-K-Y-W-A-L-K-E-R-S on the concrete floor. This bold graphic, accompanied by a yellow string of construction lights, creates a pathway to the northwest corner of the 67th floor. 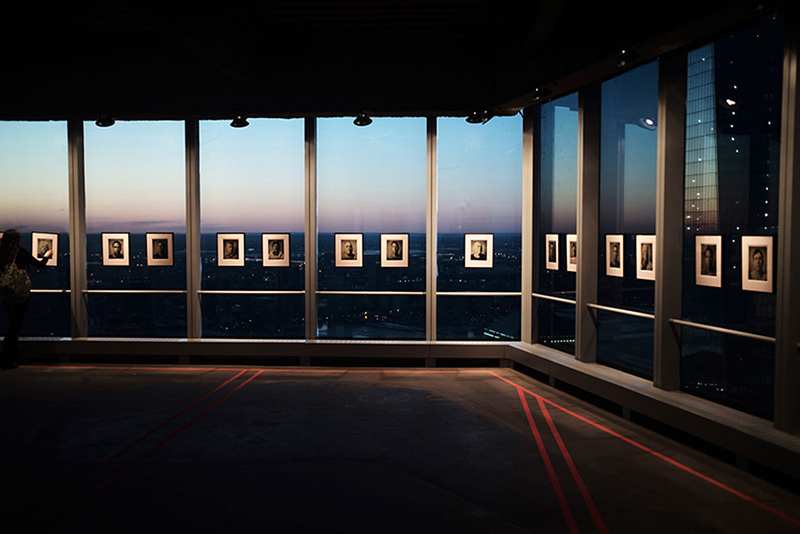 Here the same tape outlines the steel beams located just beneath the slab, echoing the exposed steel overhead and establishing a framework, a space-within-a-space where the exhibit resides. 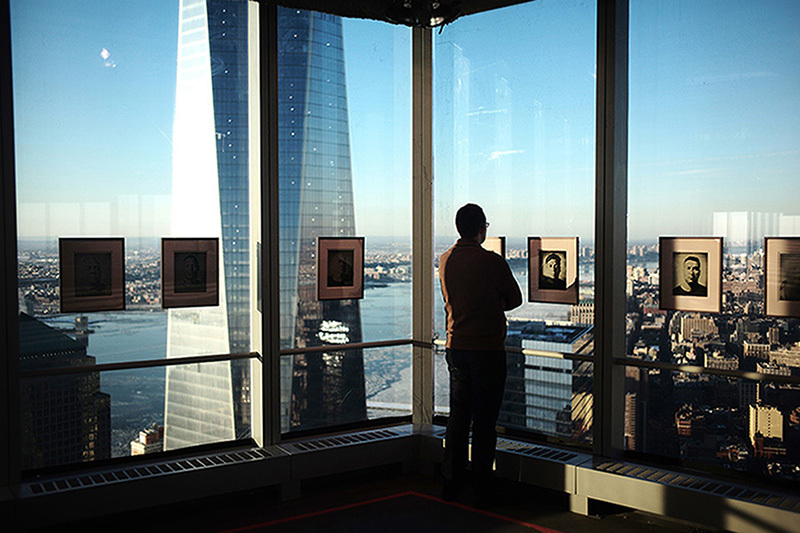 The framed tintypes are mounted directly to the glass curtain wall - substituting the NYC skyline for the typical benign backdrop of the gallery wall and engendering the viewer’s experience with an apropos sense of vertigo. 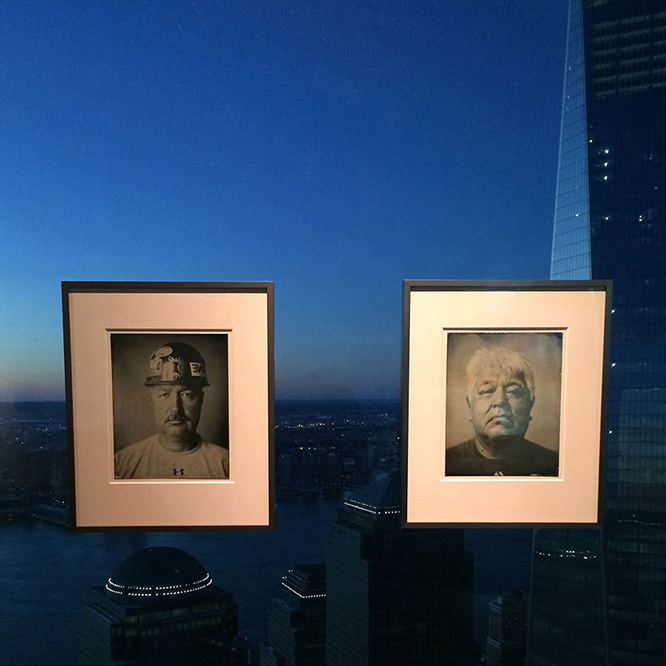 Skywalkers: The Legacy of the Mohawk Ironworker was featured by the Wall Street Journal in an article entitled ‘What’s Old Is New Again’.